Used for pulling, hunting and herding – The Chow Chow originates from Northern China and Mongolia some 4000 years ago. They are thought to have evolved from wolf about 150000 years ago. The modern day Chow came to England in the late 17th century by gentlemen of the East India Trading Company. “Chow Chow” comes from the Chinese word “chao”, meaning ‘large dog of strength’, and the word “ao”, meaning ‘large strong dog’. 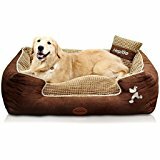 The word for ‘miscellaneous goods’ in pidgin English from the East India Trading Company times was “chow chow,” which may have been how the first dogs were listed in the consignment lists from China. The Chow Chow today is a companion animal, watchdog as well as a show dog. The Chow Chow is generally a well-mannered dog. While appearing aloof to strangers, they are devoted and loyal to their owners and can at times be quite protective. They can be great watch dogs. While not appearing to have high energy levels, Chows have great endurance and need regular exercise, such as a minimum daily walk. They can be great around children and given some time can get on well with other pets. However, this comes with a commitment to ensure that the Chow is appropriately and constantly socialized. Basic obedience and positive behavior training are critical from the start. The intelligent Chow thrives on intellectual challenge so they need training that lasts a lifetime. With all dogs, consistency is an absolute must. Understanding the breed’s temperament allows a keeper to keep power struggles and conflicts to a minimum. The Chow is very loyal to their owners, but it doesn’t rely on anyone for validation. They are a self-governing and autonomous breed with a stubborn, inflexible personality; but this is just their way of being self-assured. The Chow is not a good match for someone looking for a dog bent on pleasing its master. 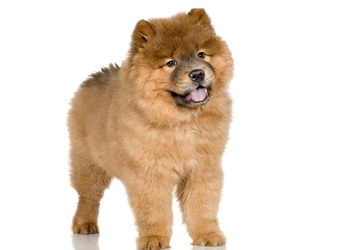 There are two types of Chow Chows – a rough coat and a smooth coat (the rough coat is most common). The Chow has a thick double coat that requires a fair bit of regular grooming – about 10 to 15 minutes daily brushing plus regular inspection of feet and other vulnerable areas of the body, especially during foxtail and tick season. They moult twice a year but daily brushing will take care of any loose hair. Bathing is recommended every two to three months and is best done by a professional groomer. The thick coat of the Chow is protective during the colder weather, but can make the breed susceptible to heat stroke during the summer. Due to their mellow, laid-back and often lazy disposition, Chows need to be motivated to exercise by accompanying and playing with them. A couple of daily brisk walks, jogging or bicycling beside your Chow are sufficient. 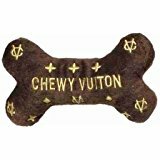 Like all dogs, Chow Chows require regular tick, flea, intestinal worms and heartworm treatments. Consult your veterinarian on treatment options. Desexing and vaccination against diseases are also important to discuss with your vet. This breed is suited to families who are willing to take the time to train their pup from very early on. They can be a great pet for singles who live alone as they serve as great protectors and love being the second in command. Consideration by the very elderly is recommended in taking on this breed due to their dominant and unpredictable nature. They may be knocked over by their strength. Chows are best suited to a house with a backyard to play in rather than an apartment. While they do not need vast amounts of exercise, they do like to explore their surroundings and may find a unit too restrictive. Common hereditary problems Hip dysplasia, elbow dysplasia and entropion.